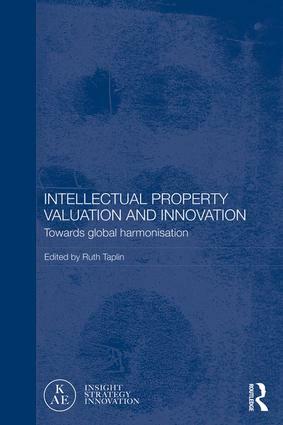 With the recent global economic crisis, attitudes and practices in relation to intellectual property valuation are changing as exemplified by the dichotomy explained in this book, which makes it unique. While there has been a move towards global harmonisation in terms of valuation of both tangible and intangible assets that are based on innovation, there is also a tendency against global harmonisation because of cultural attitudes and practices of different countries. This can be seen most acutely in relation to intellectual property valuation in Asia, especially East Asia, which often differs from the West’s perception of valuation. The book is written by experts in intellectual property, valuation and innovation who are mainly practitioners covering innovators, marketers, accountants, social innovators and business and management academics. The breadth and practitioner background of most of the contributors make the material relevant to those involved in valuation, economics, business, management, accounting and finance, law and maritime insurance. This book takes an interdisciplinary approach that cross-cuts all the above-mentioned disciplines and takes the understanding of intellectual property valuation to a new level.